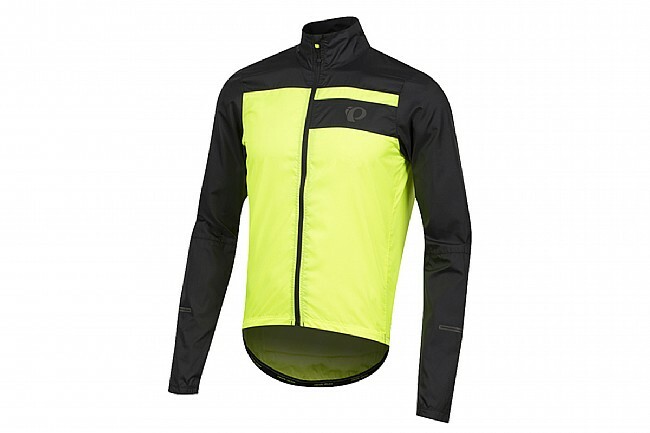 Pearl Izumi's Men's Elite Escape Barrier Jacket is semi-form fitting, featuring wind- and water-resistant ELITE Barrier fabric, a full-length 2-way Vislon® zipper with a draft flap, and an elastic hem and cuffs that seal in warmth and prevent drafts. When the forecast is up in the air, stuff this jacket into its integrated self-stuffing pocket, and toss it in a pocket to pull out when the elements turn against you. Wind- and water-resistant ELITE Barrier fabric. Stabilizng silicone gripper at waist. 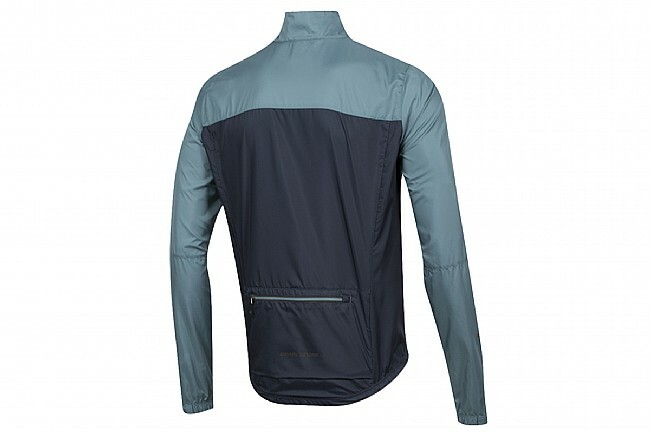 I have always found waterproof rain jackets to too hot and clammy and water resistant jackets to be not very resistant. This seems to be a very good balance. 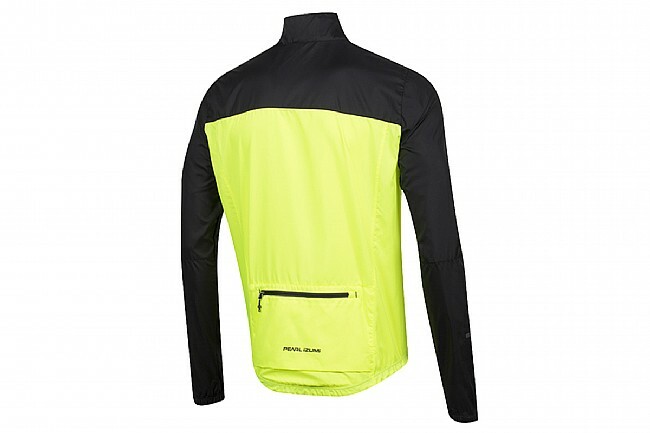 Wore it recently on a 3 hour ride which was windy, drizzly and rainy, sunny and overcast . The jacket performed very well. 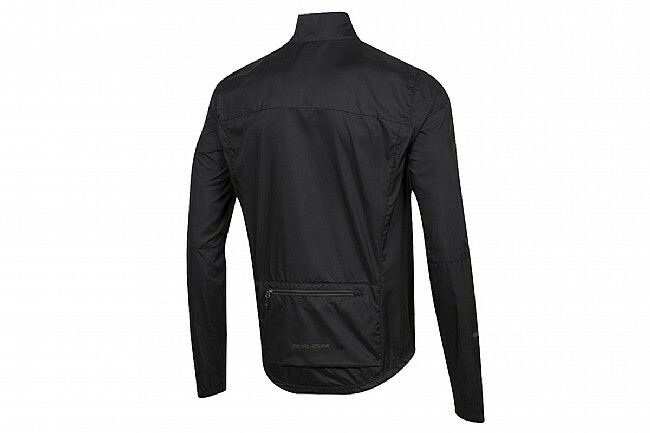 The two way zipper may seem like a small detail but is great at ventilating when you have a bit of rain- simply put your chest is covered while the lower part is open. If you're on the fence, this may be a good choice. I am 6'0 175 and the xlarge fits nicely over a long sleeved jersey. Amazingly warm for so light a jacket! Cuffs are a little loose on my wrists, but otherwise great fit.